Two months ago today, we met this sweet girl. Honestly, it really feels like we’ve had her forever. She just fits in. She was our missing piece. Our second month together went really well. When we first met Ashby, she was in a shell and she didn’t want to let people in. She didn’t openly laugh, smile or show her personality. After a day with Kensington in China, she started opening up to her. Andrew and I could carefully peek around the corner and see her laughing with Kensington, but if she saw us, she would go back into her shell. After a full week in China with us, she was opening up to us too. During our first month at home, she came out of her shell 100% of the time for us but if she saw someone else, she would revert right back. Now, at month two, I would say she lives outside of her shell almost all of the time. She is full of light, giggles and happiness now no matter where we are and who she sees. She is just so full of life. Kensington and Smith are adjusting remarkably well. I was concerned at first that they might be jealous/annoyed/irritated/tired of Ashby after a while but honestly, they’re still really into her. After school, she’s the first name they say. If she’s napping, Smith asks me at least a dozen times when it’s time for her to wake up. They fight over who gets to sit next to her, read to her, play with her, hug her…they’re always fighting over her. As of month two, she’s still the star of the show. Language: She’s picking up more non-prompted English words. She has about 20 to 30 words she can say without being prompted (our names, Poppy, cookie, Mickey Mouse, book, milk, water…just to name a few). She can also count to five (a game she loves!). She will count five of anything she can get her hands on. She “talks” non-stop and has a lot to say. She’s great at answering yes and no questions but I can’t wait until she can fully express herself to me. Sometimes she seems frustrated that we don’t know exactly what she’s saying or needs. If she’s crying, I really don’t know if she doesn’t feel good, if she hurt herself, if she’s mad or if she’s just crying…that breaks my heart. Physical Development: She’s doing great! She’s running, going up stairs, pushing herself around on her tricycle, climbing to the top of our slide on the play ground. If you saw her hand, you would think that it would limit her, but it doesn’t. She’s even right-handed. Sleeping: After our social worker came to visit, she suggested we try letting Ashby sleep in her own bed in her room (since she was sleeping so well). One night, we went up to her room (and she knows it’s her room) to put her in bed and we could tell her in her little eyes that she wasn’t going to cry about sleeping up there but she didn’t feel comfortable. 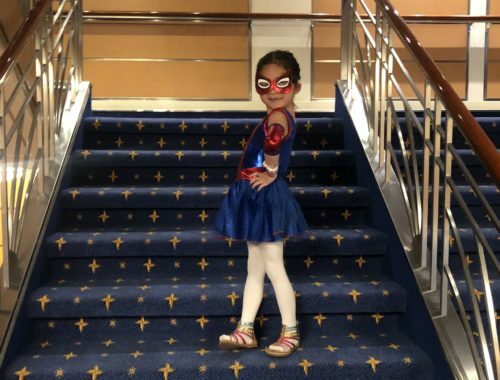 Normally at night, she puts her little hands together for a prayer, she gives lots of kisses, says “I love you” and “night-night” with the biggest grin…but on this night, she was so stoic. She wasn’t crying but she was going back into that “shell”, so Andrew and I immediately scooped her up and put her back in our bed where her little personality came right back. She just isn’t ready to sleep in her room…and we are okay with that. We decided she can sleep with us until she’s 18 ;). Food: She’s an excellent eater. Out of my three kids, she wins the award for best eater. She loves pork the most (bacon, ham, sausage…) but will pretty much eat anything…except for blueberries. Attachment: Our social worker tells us she’s showing great signs of attachment. She doesn’t go to other people (good sign) because she knows who she belongs to and prefers to stay with us. She’s attaching to us and we are most definitely attaching to her. Poppy: Poppy and Ashby are now buddies :). In fact, Poppy is one of her unprompted words. I’m so glad they’re friends. Potty Training: She’s doing pretty good. She wakes up from her naps dry and during the day, she rarely has accidents. That being said, we’re avoiding situations that might upset or frustrate her…especially since there is a language barrier, so we’re using Pull Ups all the time (unless we’re at home, then she doesn’t wear them) and being patient. Going Out: Ashby loves running a few errands and meeting friends for lunch. Erika had surgery last month and was unable to drive for several weeks, so I picked her up and took her places with her boys while the girls were in school. The other day, I went and just picked up Nixon and as we were driving away, Ashby was frantically saying “where’s Bo?” over and over again. She recognized the front of Erika’s house and Nixon…and wanted to know why we weren’t taking her friend Bowen too. She’s really beginning to figure out where we go and who we see. Playing: This month, Ashby has discovered Duplo Legos and other big blocks. Her favorite things to play with are building materials and her baby doll stroller. She also loves to color! Kensington and Ashby could sit at the kitchen bar and color all afternoon. I would say that our biggest hurdle this month is not saying “no”. Our social worker really encourages us not to say “no” to Ashby at this point. Children with her background don’t do well with the word no (they are so used to neglect, being told no, not getting anything, no one caring about them that it helps them bond and attach if they’re not constantly told no). We have been encouraged to “redirect” instead of saying no. This works in theory beautifully but in real life…it’s tricky. She likes to dump her plate on the floor when she’s done eating, she likes to touch oven, she likes to help me empty the dishwasher and goes straight to the knives each time, she likes to jump on the bed…you know, sometimes a good “no” is in order to keep one from hurting themselves. We redirect as much as possible but listen, she’s two. Two year olds are funny little people and redirecting doesn’t always work. We’re walking that tightrope between redirecting and being firm with some solid rules. March is going to be a big month for our sweet girl. 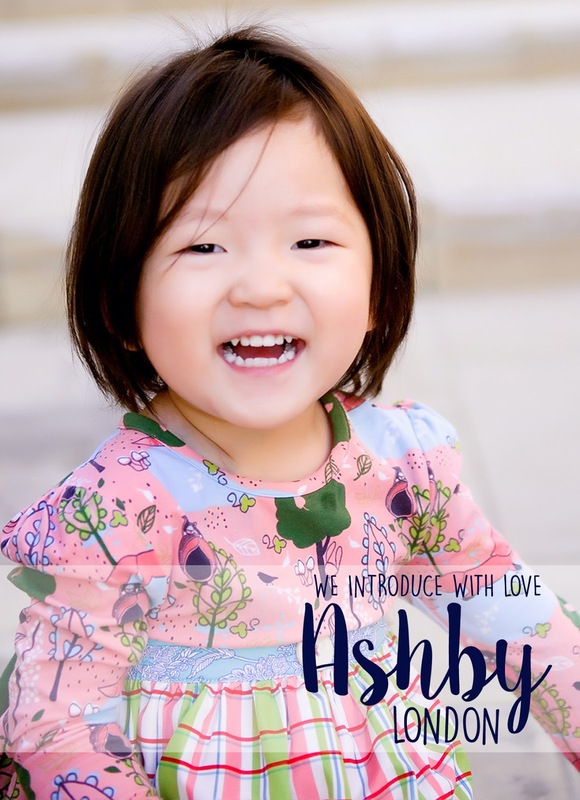 On March 18, we go to court and get to “re-adopt” Ashby here in the United States. This is just a formality to get her a US birth certificate and allow us to get her a passport but it is the absolute very last step in the adoption process. The judge will declare her Ashby London Shull once and for all and we just cannot wait. Then the next day, Ashby has her first appointment with the specialist about her hand. We are prepared for a very long road ahead. We’ve been told surgeries and physical therapy will be in order. So, we’re just praying for wisdom, direction and healing as we start this process. We are so thankful for this little girl. I really have a hard time imagining life without her. She is just the sweetest thing! I was still sleeping with my parents when I was 5 years old when I was adopted from Korea at 9 months old since I did much better sleeping next to my Mom here in the US. Sooo sweet and precious these moments are!!!! Ashby is soo precious. All of your kids are beautiful and precious. And makes me smile she is full of life that's what very child should be. But this is not a perfect world. That breaks my heart that she can't express herself. But all you can do is just pray about it. I will pray about Ashbys hand . Yay! Ashby will be an official Shull. Beautiful!! That girl is so sweet!!! All five Slaughters are lifetime members of the Ashby Shull fan club! We love that girl!! That sweet girl–the Dreffs are big fans! So happy for your family!! Love you!! Ashby is beyond precious!!! She found her perfect family and forever home. Shay, I'm not sure if I've ever left a comment here, but I've been a looooong time reader. In fact your website conservative mommy brought me to your family blog back before Obama took his presidency! Anywho, I love your blog and love this sweet journey the Lord has brought your family on finally bringing home and adopting Ashby. One tip for the "no" thing- I have a 20 month old and we have found the phrase "Leave it be", to be very effective with redirecting my son without outright telling him "no." Good luck as you continue to navigate these waters of parenting! Have you tried using sign language with her? We used basic signs with or son- eat, potty, bath, water. Although some of these are surely words she is using, teaching her words that help with basic needs will help her to not become so frustrated when you can't understand her. They're simple, so it's easy for patents to pick up, and with a day or so of modeling, the kids pick it up fast! Love it, Shay! So many answered prayers! What a great post! And I LOVE that photo of the three of them where Smith has his arm around her… perfect! Happy for you all! I have loved following your story and look forward to each picture and update you share. These pictures are just precious and I'm so glad that Ashby is adjusting so well. It's also sweet to hear about the big sister and big brother playing such a big role in her adjustment and coming out of her shell! They are all adorable! These updates make me tear up every time. How blessed you all are to have each other. These updates make me tear up. God is so good. How blessed you all are to have each other. I enjoyed reading this post, it was so heartwarming! I am so glad Ashby is adjusting well and seems to be a very happy little girl. Best of luck with her upcoming doctor appointments. So happy for you all. This update is so sweet and heart-warming. Made me teary-eyed! Just like I told you yesterday, I can't believe you've only had her 2 months! It really does seem as if she has always been a part of your family! And yes, she was definitely the missing piece. Love that girl! That story about bedtime in her own bed made my heart SING! What a beautiful job you are doing of carefully observing, supporting, and loving that little miss! Love reading Ashby's updates! I've been praying for y'all during this transition period and am so happy everyone is adjusting well! Prayers continued from NC! 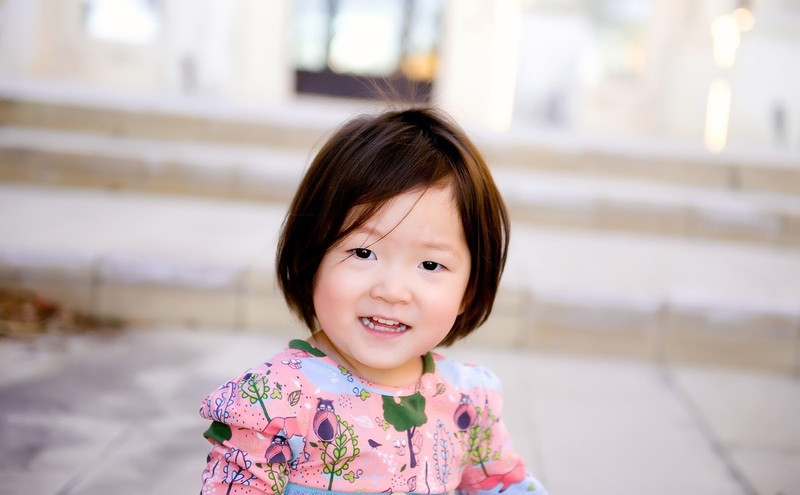 Thank you for sharing her sweet story! What a precious blessing. For expressing her emotions when upset, have you tried a picture card? She could point to a picture of the problem so you know how to help. Sort of like a picture schedule, which might be fun to build vocabulary too. I'm a school psychologist and it's something we use for children who have trouble expressing themselves for whatever reason. Just an idea! My family loves to follow your story and my two year old asks to see pictures of Ashby! Your heart must be so full. Much love! So exciting!! Ashby is such a blessing! So glad the all the kids are bonding. Praying for her upcoming dr visits! How wonderful to see Ashby so happy! She is very loved and her own joy just bounces off the screen! Have you thought about signing? My 2.5 yr old daughter was slow with her language. We recently go the Baby Signing Time videos and she loves them. Signs everything now but says the word along with the sign. If you google Baby Signing Time the videos/website will pop up. They have a potty training one too but I have yet to go there – my daughter seems so disinterested in potty training! Good luck either way – just a suggestion! Love your Ashby updates! So thrilled to see her doing so well. What a blessing! It sounds like her little personality is just perfect for your family!! The birth announcements are adorable. SO BEAUTIFUL and BLESSED! You may know this already but our supervisor on our home construction had an app on his phone to communicate with all the subs that did not speak English in multiple languages. He could communicate really well back and forth by having the app translate his words and the other peoples words. Maybe something you have tried or could think about trying especially if Ashby has dr. appt and surgeries where you really need help with communication. My eyes teared up when I read the adoption announcement! Beautiful pictures and such a sweet verse. I love reading your updates about how Ashby and your whole family is doing in welcoming her home to her forever family. On a totally unrelated note, I made your cheeseburger meatballs two nights ago, and my husband LOVED them! He was skeptical at first, but went back for seconds! He even guessed that I got the recipe from you! Love your family friendly, fast and easy meals. Great post. You are obviously doing a wonderful job of parenting your sweet kids! I LOVE your Ashby posts!! So glad you are all doing so well. Love that you went with your own instincts on letting Ashby sleep with you. Such a sweet family! We have tried not to use "no" with our children. We found that if you can just say "danger" when they are trying to grab a kniife or walk in front of a car, etc. they respond really well. A lot of other things can be "that's not for babies/kids", "maybe later", "please stop doing that because…"
Congratulations on things going well and the final upcoming adoption. She is adorable. You can see in her face how happy she is….you are doing an amazing job. The announcement card brought tears to my eyes! I love it so much. Not saying "no" is probably good practice for all parents. I say no way too much to my three year old. I like the suggestions for alternatives that people have left in the comments. 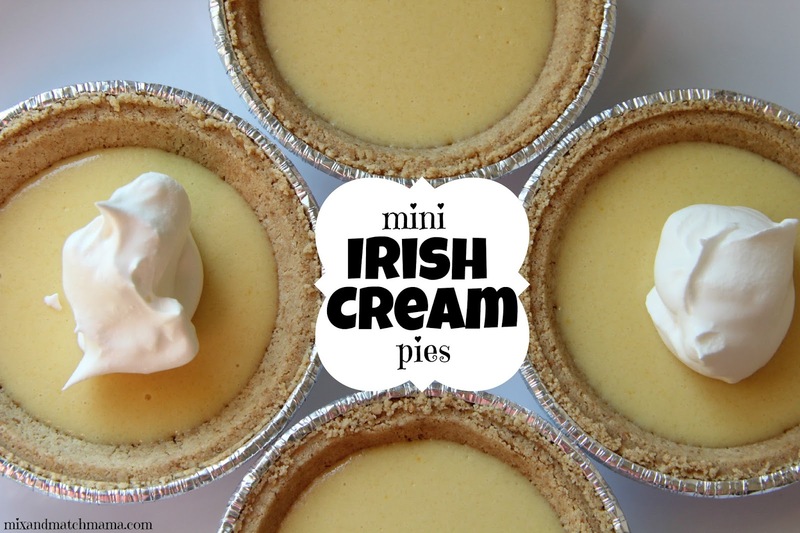 I'm going to try these out! It sounds like you are doing a wonderful job. As parents we get tons of advice, and sometimes you just have to trust your gut and break "the rules." You know your child best and I think it's wonderful that you're willing to let her share your bed for as long as it takes. Enjoy this time, your kids are all beautiful! This update is so fantastic! I think about little Ashby a lot…and I don't even know her! "No" is so easy and natural for us to say, but I have tried to use "Stop" with my kids more than "No." It gets the meaning across but doesn't have the more negative tone. Maybe this will work for your family too! Something to try! So happy for y'all! I just love these updates and seeing how your sweet girl is adjusting! She is just beautiful and you are all so truly blessed to have found eachother! Gorgeous pictures!!! Wow, have you done a great job! nice post! She fits so perfect in the Shull family!!! You have three beautiful kiddos! Such a wonderful post! She is precious! Ashby and your family have been in my prayers…so glad all are adjusting well! This post just makes my heart melt. Continued prayers on this journey. God Bless! Now that you have these adorable photos, you need to add her to the right side of the page with the other kiddos! I love how much your kids love her. You guys are the sweetest family and ashby is so cute! I feel you on not telling her no, I have a two year old as well. I'm not sure how I'd get by without no! You're amazing! Heartwarming update. Happy to see all are adjusting well. Oh your adoption announcement made me teary. She is such a beautiful little girl! Just radiant with that bright smile! Glad to hear things are going well! Also I do NOT know how you avoid saying no! I say "no no" to my 13 month old about 8,000 times a day in an effort to redirect her. Is saying "Ashby, we don't (insert whatever here) let's do this instead?" What you're supposed to do? I enjoy reading about Ashby and your family. I was totally in tears reading this because it was so touching. Maybe by the summer you can have the girls sleep together in one room with separated beds. She might like that and then maybe Kensington can sing or read her to sleep. As time goes on she will see that all the family and friends and acquaintances she comes in contact with she will get used to. I am gathering since she has been able to walk and talk in China she only saw the same people everyday and now everything has changed she is guarded. You all are so blessed to have Ashby and now with all the good holidays coming around it will be fun to cook and celebrate. I am sure it is hard to say no to her but instead when she drops the plate on the floor show her that the plate stays on the counter. When you empty the dishwasher with the knives inside do it when she is with the other kids playing or when they are in another room As far as the oven try to show her that it is hot and maybe nod your head no. Nodding your head no is different then verbally saying no. Love, Love, Love the adoption announcements!!! Thank you so much for your honest post about how she is doing. As a mama who is hoping and praying adoption is in our future, it's helpful to see an open evaluation. She seems to be doing great and it's so much fun to hear her little personality is coming out. Well done, Mama! Our daughter was not adopted, but was hospitalized when she was Ashby's age…when she came home she needed to sleep with us to feel safe. How we transitioned the sleeping arrangement was by bringing her bed into our room. We put it right against my side and we would put her there after she had fallen asleep. That way she got used to sleeping in her own space and it really made the move into her own room much smoother. 🙂 Always a pleasure to read about the wonderful progress sweet little Ashby is making. 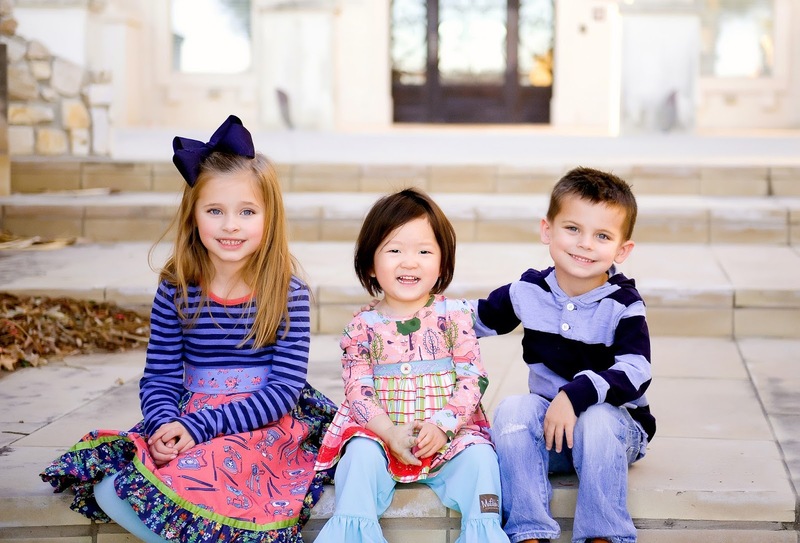 The kiddos looks adorable in the pics! Following your family & Ashby's adoption has been so heartwarming. God bless your sweet family! Love your blogs! Thank you for sharing. Oh, I love following your family's story! The last part about the adoption announcement and then the picture with that sweet smile lighting up her face literally brought me to tears. May God continue to bless your beautiful family! Hi Shay! LOVED this post!! The adoption announcement made me tear up, I'm so happy that you're all doing so well! Beautiful pictures of the kids! Your stories and love for Ashby bring tears to my eyes every time I read them. Keep the updates coming! Praying for all of you as you take the final steps with adoption and start focusing on her hand. As a long time reader of your blog, I feel like I am a part of the Shull family! ( want to just go ahead and adopt me!?) I am proud for you and of you. 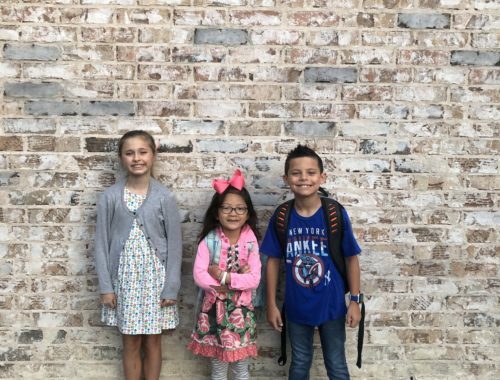 Your kids seem to be adjusting well, and Ashby is just the puzzle piece God was holding onto for a little while , while he prepared your hearts. She is just absolutely beautiful in every way. Cannot wait to "watch" her grow, just as I have Kensington and Smith. You have a beautiful family. Yall are abundantly blessed! Reading this made me choke up. I stumbled across your blog looking for a recipe one day, and was so touched by your adoption story. When I was 8, my family adopted a beautiful baby boy, and now,almost fifteen years later, he is still the biggest blessing to our our family. Even though we are almost nine years apart in age, we are very close and great friends, and I literally cannot imagine my life without him. Your sweet family and children will be so blessed. Congratulations! Thank you for sharing this post with us. God bless you and your sweet family. ok- you & your family are amazing. But that birth/adoption announcement, it made my eyes water. So, so sweet. So happy for you! As an adoptive mom myself please don't listen to your social worker. Let Ashby sleep with you until she is ready. She will initiate when she feels secure!! Great job with trusting your mama instinks! 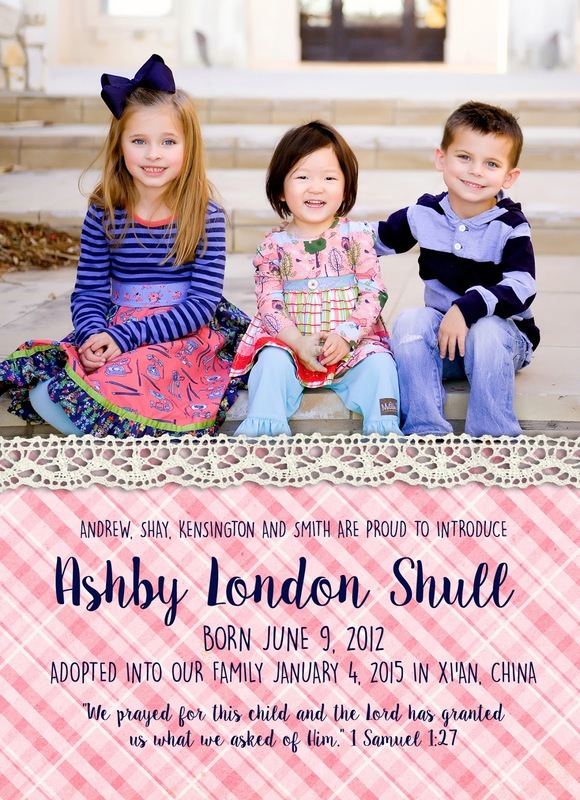 Her birth/adoption announcement….insert ugly cry here! I am so thankful that one less child in the world will know neglect, abandonment, and feeling unloved. You Shulls are being the hands and feet of Christ…truly. Congratulations! Your blog gives me so much joy, Shay. God bless you. Thank you so much for updating and blogging about your family life especially Ashby.. My heart is always so full reading about her as I have a big heart to adopt children down the line as a married couple (I am now single), as the Lord wills. I have a question. Are you doing anything for Ashby in terms of Ashby retaining her Mandarin Chinese? It would really be great if Ashby continued in her language learning and retaining of the Mandarin language. That's just my thought, but I would love to hear yours on this topic please! So glad to hear Ashby is doing so well! As far as finding it hard not to use the word "no", I had trouble with that also. As far as understanding language, negatation is very difficult for toddlers to understood…. So if you say something like " no do not run". All a 2 old hears is "run". Instead use positive directives, telling them what you want them to do…" Walk, please". So if Ashby dumps food off her plate, I would say "food stays on your plate". Using positive directives is really best practice for any child. For example, my 6 year was using sloppy handwriting on her homework instead of sayimg " don't write sloppy"/I said " be sure to take your time and use neat handwriting "
I love these updates. Ashby is precious. I am so happy that Kensington and Smith have adjusted well. This made me teary-eyed at the end. Your post today really touched me. My husband and I struggled with infertility but I was able to get pregnant. Our little girl will be a year old this month. We still talk about adoption down the road. I read your blog and feel so much love between your family and Ashby. It's a very beautiful story. Thank you for sharing! I LOVE reading your posts about Miss Ashby. We have been approved for foster care and are just waiting on a call. I find these posts both enlightening and encouraging. I know the Lord will send us a little one he means for us to take care of just like he sent Ashby to you! I love reading how Ashby's doing. She looks so happy, which is surely a good sign. The pictures are beautiful. Love how Smith has his arm around Ashby. A way to redirect "no" is by using "we" or by making it clear its a family rule. I think when everyone is included its a more indirect and positive way to stop certain behaviour . "We don't throw our plates at supper". Hope that helps ! Love these updates!! The announcement is beautiful!! And Smith's arm around Ashby…just the SWEETEST! Continued blessings!! Those pictures are just too adorable!! They will be so cherished forever and represent such a beautiful beginning! So happy to hear things are going to great! Have you seen this yet? It made me think of you and other parents I know who have adopted children. It's such a beautiful story! SO incredibly happy for you and your family! Ashby fits in perfectly, like she's always been there. I love seeing your kiddos together. You can see the love beaming from them for each other. Oh what a beautiful child Ashby is! You are so lucky to have found her. You've probably already thought of this, but could Ashby and Kensington share a room? My two eldest kids share and they LOVE it! It might help ease her into her own room eventually. Also, as for the 'no' word, that must be impossible! I have three kids under 4.5 and I use it a LOT. Maybe you could make up your own special word that means no but sounds nicer? Or every time she does something you don't want you say 'oops a daisy'.. not sure if this would work but could be worth a try. Thank you for sharing this process with us! Love you Ashby!!!! I was reading the post happy and enjoying the information…until I got the birth announcement. Cue the tears. I cannot get over how special she is and how your family has changed her life forever. It just touches an emotion in me that I can't get over. God is good all the time! I just love your little family! I work at Baylor in McKinney, and one of my coworkers told me about your blog. I love reading about your precious family!! 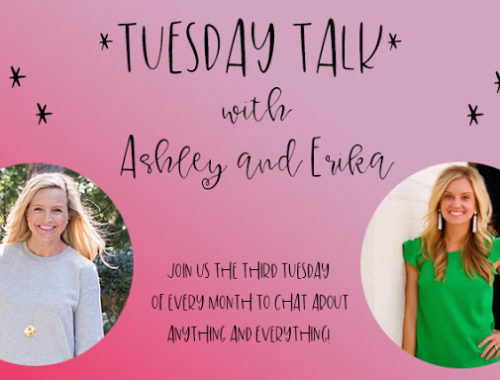 Thanks for sharing about Ashby and life with her now! I was also adopted and it is so nice to read about adoption from the parents perspective especially in the very early stages! 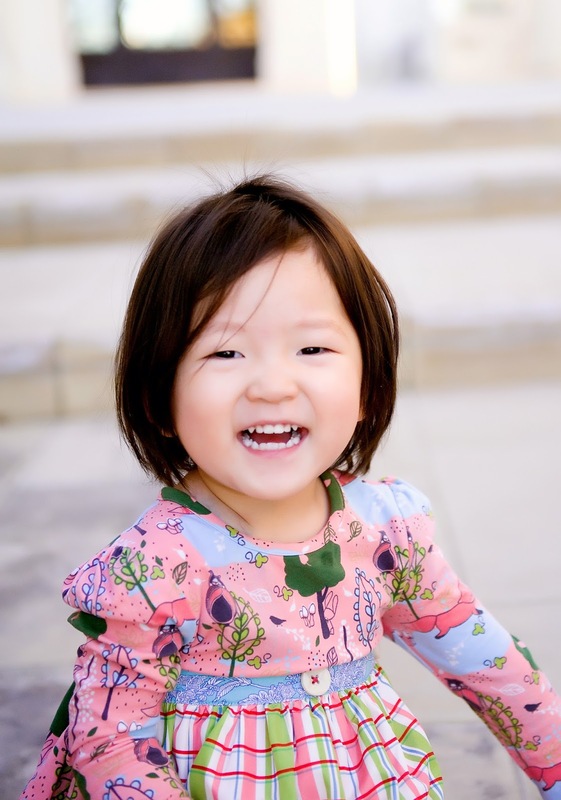 I babysat a family who very similarly to yours, has two biological children and adopted a little girl from China. I loved seeing the kids interact with one another as they grew up because they truly loved one another and had fun. I feel like Ashby's light is so bright. She looks SO happy. It's amazing how quickly she seems to have fit into your family. You hear so many sad stories about adopted children who can't quite get into America, or into the family. She was so clearly made for you guys. You can tell how much love she gets. So happy for her! I made my first ever Nordstrom purchase compliments of Pinterest Told Me the other day because the earrings were affordable and don't require the whole finding a size that will fit on my fluffy physique. Hopefully I will win and might be brave enough to venture to the clothing section and see if I can find some loves like you ladies do. Beautiful post Shay. I'm so glad you're all adjusting so well together as a family. It's what I've been praying for, for you. I so love the photo of all three kiddos, with smiths arm around Ashby – so sweet. Hi, just came across your blog and was reading the comment that was made to try and let Ashby sleep in her own bed… and my heart sunk…. I can't tell you how relieved I was that you decided to let her continue to cosleep. Two of my kiddos slept with us and it makes a huge difference to bonding. Our youngest is five now and is still not ready to leave the bed even though we have another single bed in our bedroom. I just figure she won't be there forever and it makes no difference to me if she sleeps there but it makes a huge difference to her.